This year, on Saturday October 28, 2017, we will host our 6th Annual Fundraiser Workout. 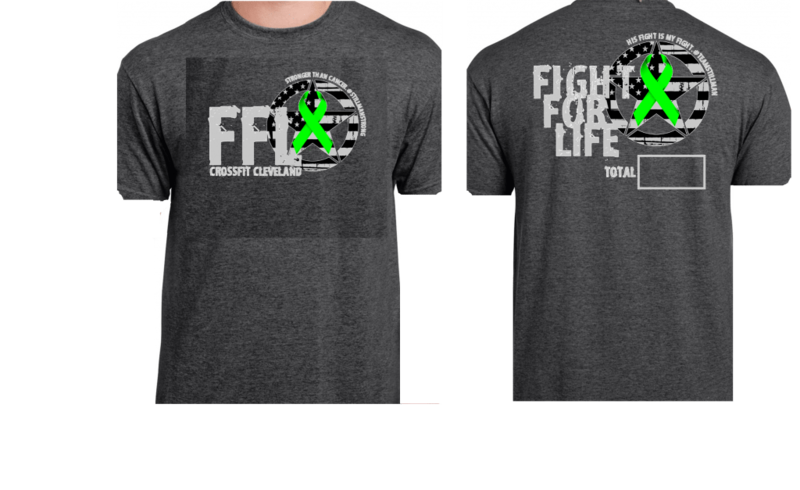 We renamed our event this year to “Fight For Life” to support Team Stillman. 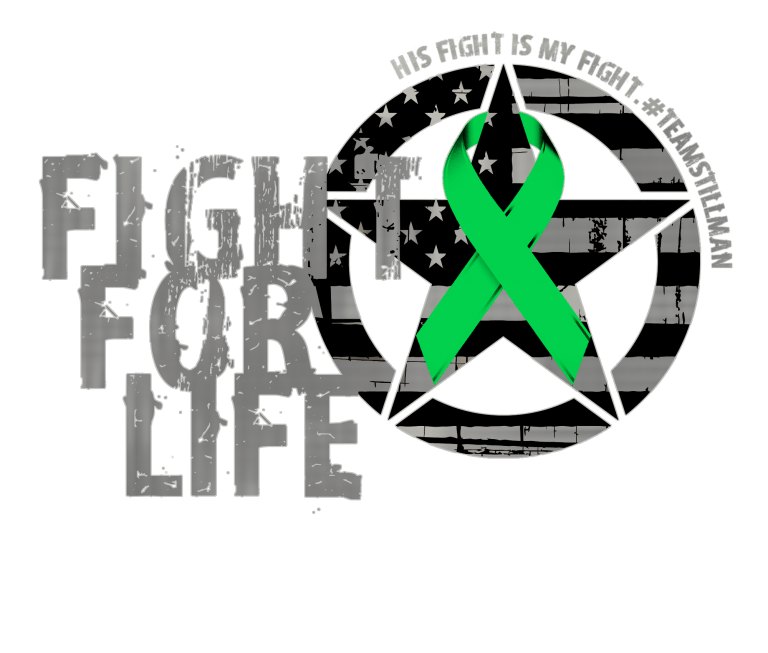 All of the details are also included on our Fight For Life Registration Page . Please sign up for your workout start time there. If you wish to order a T-shirt or Ladies’ Tank Top or sign up to be an Event Sponsor, use the Paypal payment link down below. 100% of the proceeds from this event will support TEAM STILLMAN, United States Army SGT. 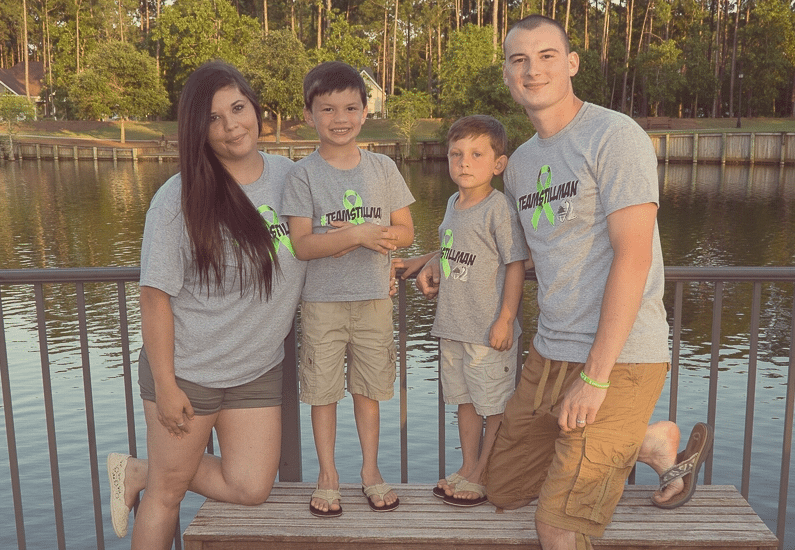 Jack Stillman and his family as he fights Stage 4 Anaplastic Large T-Cell Lymphoma. Jack is the son of one of our CrossFit Cleveland families, Rocky River Police Chief Kelly Stillman and his wife Trish. Please join our community as we support The Fight. Doors open at 8:00am the morning of 10/28/2017 with the first heat kicking off at 8:30am. Everyone is welcome to attend, check out our box, watch a great CrossFit workout, and support a local charitable organization! We have modified the workout format a bit to allow for more participation in the workout. The starting times will go off on schedule, be ready and warmed-up by your registered starting time. Experienced CrossFitters, beginners and even first time visitors can participate in the Fight For Life workout by registering for the starting time of their choice. There is no cost to participate, we do ask for a donation to help our cause. This is a friendy competition where you may count your own reps/score or have your reps judged and counted by a peer. Prior to the start of your heat, your form will be checked and verfied by a certified trainer to ensure proper movement. If you are unable to perform certain exercises in a safe manner, you will be shown alternate movements for your workout. **We have a limited number of Sponsorships available for this year’s event. For a $150 donation, you will receive your company or organization’s logo on the T-Shirt and recognition at the event. Please contact Bill or Staci. Deadline to submit your logo is Noon on Monday 11/16/17. You can pay by check made out directly to “Alina Stillman” or pay online using the “T-Shirt” link in the above paragraph. The sponsorship is in the drop down menu of the T-shirt order box. ***We have added one time at 11:30am that allows kids ages 10 and up to participate in the workout with their friends and family members. Adults are welcome to register for the 11:30am heat. If you wish to order a T-shirt or Ladies’ Tank Top or sign up to be an Event Sponsor, use the Paypal payment link below.